There are two aspects to the relation between law and technology. While on the one hand law promotes the development of technology, on the other it regulates its application and use especially regarding the protection of health and property. Japan has experienced many cases of technology-related mass damage, including the well-known examples of Minamata disease, the negative effects of asbestos on public health, and the Fukushima Daiichi nuclear disaster. In the 1960s, industrial pollution was the cause of widespread instances of damage to public health. This triggered a series of lawsuits which developed into a whole new area of tort law. In these cases of industrial pollution, it was established that private companies as polluters bear legal responsibility for the harm they caused. Since the 1980s, tort law has seen a new level of development: legal responsibility is no longer restricted to the direct polluter exclusively but has been expanded to include the State as the regulator. This article focuses on the relationship between the regulatory and promotive functions of technology-related law based on an analysis of the Minamata disease, asbestos, and Fukushima Daiichi disaster cases. Ōta Tenrei (1900–1985) was a gynecologist, socialist, birth control activist, sexologist, aswell as an advocate of eugenics and euthanasia, who participated in the enactment of the Eugenic Protection Law (1948–1996) and founded the Japan Euthanasia Society (1976, now the Japan Society for Dying with Dignity). Ōta had progressive views onsexuality, women’s rights, and reproduction, especially vocal in hisadvocacy of abortion rights. At the same time, he was an advocate of eugenics and he attempted to legalize euthanasia in Japan, arguing among other reasons that some people were a “burden” on society. This article examines Ōta’s advocacy of seemingly contradictory causes such as abortion, eugenics, and euthanasia. It suggests that first, for Ōta all these causes were progressive, aimed at creating a “better world,” and second, he put an excessive stress on autonomy, disregarding rights of those who lacked it, be itfetus, people in a vegetative state, or the intellectually disabled. Over the last decades, social inclusion has become a significant factor in social policy programmes in most countries of the world. It has been endorsed through various directives of international organisations and then implemented by numerous national governments. The relatively vague nature of the concept may facilitate this present prevalence, since it makes it easily adaptable to distinctive features of different societies. However, translating the term and implementing it into political practice might involve several problematic issues. This paper focuses on the so-called ‘Community-based Integrated Care System’ (chiiki hōkatsu kea shisutemu) as an example for the adaption of social inclusion in Japanese social policy programmes. The ‘Community-based Integrated Care System’ has been gradually introduced in Japan since 2006 as a part of the reformed Long-term Care Insurance Law. Building upon field studies which were conducted in a major commuter city in the Greater Tokyo Area, the paper presents contradictions between the theoretical framework and the practical implementation of the new policies. It is argued that the proposed model can lead to the construction of an effective local welfare system, but that it does not necessarily empower the local residents. In comparison to the foster care system in western countries, in Japan most child protective care is conducted in facilities. This article examines the institutional changes necessary for the introduction of school education in children’s self-reliance support facilities (CSSF) and considers the relationship between the spheres of education and welfare from the narratives of the school teachers who conduct the education practices and the facility staff who conduct the welfare practices. By examining these issues, this paper seeks to identify the challenges in introducing school education to the CSSF and discuss how the spheres of education and welfare can work together to overcome them. Following the introduction of school education into the CSSF, study guidance in the facilities was taken out of the hands of the facility staff and was conducted by qualified teachers. From teacher and welfare staff narratives, this introduction of school education was seen as an ‘erosion by school education’ for child welfare. However, from the perspective of Goffman’s total institution approach, this erosion has gradually generated new practices that differ from the conventional perspectives of school education or welfare. Building off of this perspective, this article suggests that school education in the CSSF can allow the children to temporarily experience a pseudo-society separate from their life in the child welfare facility, and this can offer benefits for the child’s eventual social re-integration. This study examines the role of educational practitioners in mediating the implementation of the 2015 reforms of moral education. The revision of the Fundamental Law of Education and further commitment to a nationalistic agenda by successive governments have paved the way for curriculum reforms that introduced the value of patriotism as an objective in the moral education curriculum. The reforms in 2015 reassigned moral education as a ‘special subject’ requiring both ministerial approval of textbooks and assessment. However, previous studies have focused almost exclusively on policy and curriculum analyses. Few studies have examined the school or classroom to understand practice as implemented. Challenging the assumption that these revised documents describe changes in practice, this study examines the early stages of the implementation of policy, which is invariably mediated by education practitioners ‘enacting’ policy. Despite the undeniable trend of central policy promoting a ‘love of country’ and efforts to increase state control of education, a stronger patriotism in moral education may not soon materialise in the classroom under the current pace of reform, though structural changes may have longer term potential to limit the autonomy of teachers to mediate policy implementation. The results contribute to our understanding of how these reforms are being implemented, and more broadly how teachers in Japan enact reform ‘on the ground’. This article examines local and regional media reporting in Japan following the triple disaster in 2011. Unlike the national newspapers and TV stations whose reporting was accused of downplaying the nuclear disaster, the media of Tohoku took on a more open and grassroots-oriented approach of reporting. According to various reports, local and regional media played an important role in providing crucial information, while they also conveyed the voices of those struggling to overcome the aftermath of disaster. Building upon a series of narrative interviews with Japanese journalists, this study investigates their perceived role in disaster reporting. It reveals that the gap between national and regional media in Japan originates in the conflicts resulting from centralism, but also in the high impact of the journalists’ professional environment. 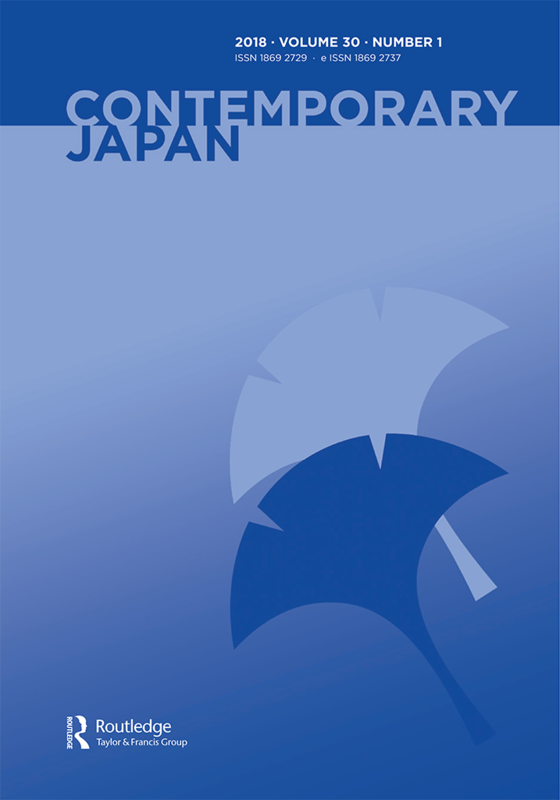 Concerning the local and regional media, three main ‘orientations’ have been reconstructed from the interview data: (1) a supportive approach toward the people affected by the disaster, (2) a strong sense of belonging to the community covered, and (3) a critical distance toward Tokyo politics and media. Tokyo has recently decided to utilize foreign aid more strategically so as to make ‘Proactive Contributions to Peace and Security’ and align aid with what is identified as Japanese national interests: to protect an international order governed by rules and based on democracy, human rights and rule of law. Some scholars have even started to talk about Japan as a ‘Normative Power’—an actor with the ability to set what is considered ‘normal’in international affairs. 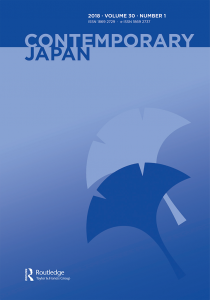 In an attempt to ‘measure’ any potential Japanese normative power, it is being argued that Japan can be identified as a normative power when it comes to setting the ‘rule of law’ (at sea) as legitimate and normal behavior, which has been facilitated by utilizing foreign aid strategically to claimants in the South China Sea dispute. However, said normative power does not seem to be applicable to other non-security related realms of Japanese national interests—protecting democracy and human rights in Asia. It is suggested that actual implementation of aid geared towards protection of such values are only as important to Tokyo as the extent to which it creates leverage against its main competitor in the region, China.